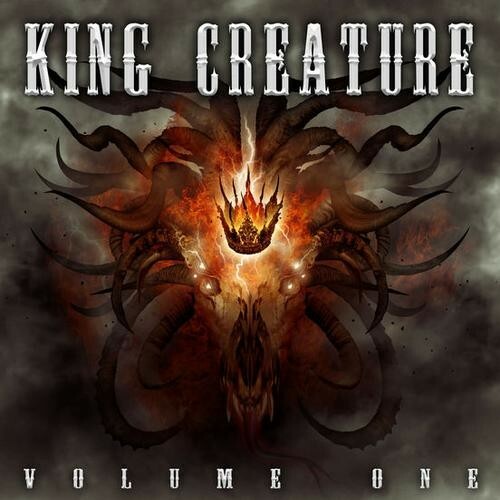 'Volume I' is the debut album from Cornish Hard Rockers King Creature. There's plenty of narrative and anticipation woven around the band's brand, especially given the fact that they've opened for the likes of Motörhead and Megadeth. The perks? Chunky riffs from the outset that are straightforward and heavy in 'Lowlife' and slightly groovy in 'Dead Inside', whereas they play with pace and rhythm in 'Power' and 'The Pusher'; the latter two are especially good. The vocals snap back and forth in the verse of 'Power' and the guitar finally starts to bite. It still loses its way in the bridge though, feeling its way with no direction almost, akin to some of the earlier tracks in the first half of the album. '...Pusher' packs in the bass which is lacking elsewhere and there's a great sinful vibe. If mood is what you're into, 'Can't Be Saved' is akin to something out of a film soundtrack – somewhat epic and fantasy-based – but I only wish it was more stirring and in-your-face. The second half of the album is stronger with the likes of the punchy 'Money' swaggering along. The vocals work better with a bit more melody, as opposed to having a tendency to fall a bit flat on some other tracks. 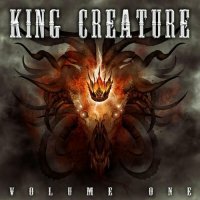 King Creature aren't as heavy as the bands they've opened for but the album does hold some great variety – think funky bass licks, spiralling solos, and Metal-edged Doom-laden stuff. Not every track hits you hard, and some are worth skipping, but there's some fun, heavier Hard Rock on the second half.